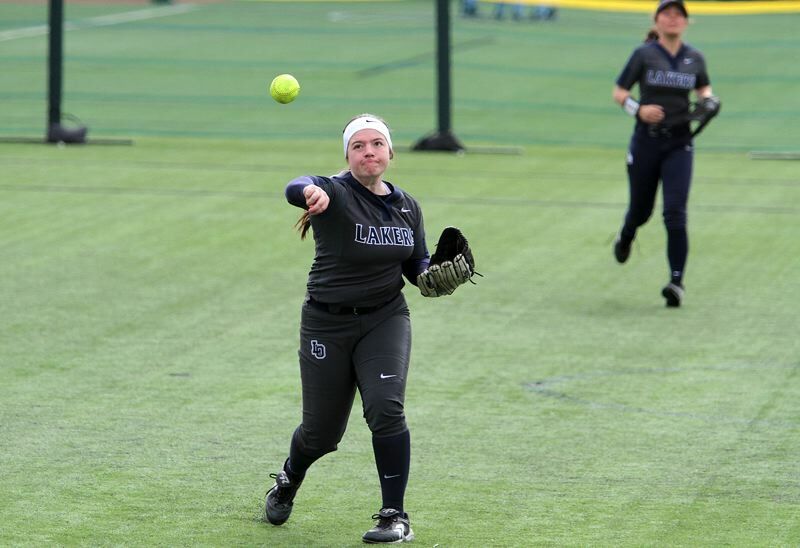 The Lake Oswego and Lakeridge softball teams battled the Three Rivers League's best all year long. Now, the Lakers' and Pacers' best have taken their places among the TRL's best. In the 2018 Three Rivers League all-star voting, Lakeridge had four players honored (including first-team selections Claire Johnston and Sara Nyland), while Lake Oswego saw three players recognized (including first-teamer Morgan Jones). Johnston was a senior outfielder for Lakeridge who batted .344 with five doubles, eight RBIs and 16 runs scored. 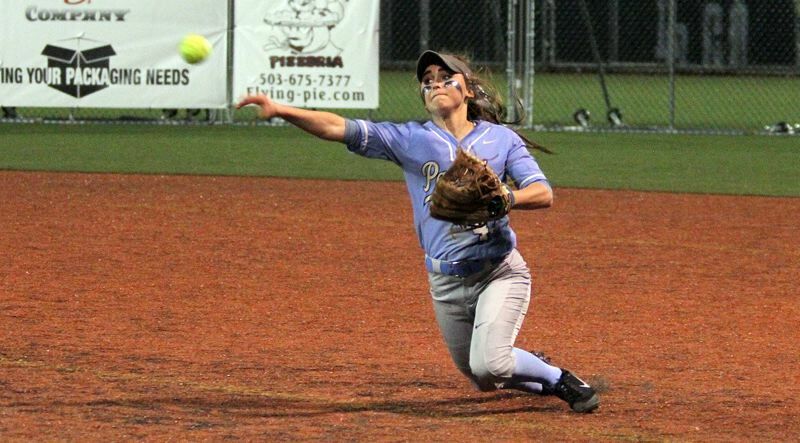 "Claire Johnston was solid for us in the outfield," said Lakeridge coach Madison Collura. "She is a smart softball player and her spot in center will be tough to fill next year. She was one of our most consistent players this past season." Teammate Nyland, a senior second baseman, hit .352 for the year with two doubles, 13 RBIs and 17 runs, as well as playing stellar defense for the Pacers. "Sara Nyland had a phenomenal senior season," Collura said. "She is a great teammate and an aggressive player with a desire to inspire her team and win. Her energy and positive attitude made her a very impactful player for us." Together, they helped the Pacers go 4-10 in TRL play — a league that included unbeaten state champion Tualatin and quarterfinalist Tigard — 9-18 overall, win a state Play-In contest and reach the first round of the Class 6A state playoffs. Also recognized for Lakeridge were four honorable mention picks — freshman outfielder Rachel Opferman, senior infielder Sailor Mickey, sophomore catcher Anika Bjornson and freshman pitcher MacKenzie Nelson. Lake Oswego was even better, fighting to a fifth-place finish in the TRL at 6-8 and a 13-13 overall mark before bowing out in the first round of the state playoffs. And no one played a bigger role in that success than Jones, a senior shortstop who just about did it all for the Lakers. "Morgan Jones was a three-time captain, our starting shortstop all year and led our team in average, hits and slugging percentage," said Lake Oswego coach Chris Gobel. Over the course of the year, Jones hit .417 with six extra base hits and five walks, as well as a team-leading slugging percentage of .762. In addition, Laker junior center fielder Layney Lombardo won a spot on the second team while junior Marin Penney, senior Anna Tomita and freshman Sofia Tosoni were named to the Honorable Mention team. In the TRL's top awards for 2018, West Linn senior outfielder Brooke McKelvey was named Three Rivers League Player of the Year, West Linn coach Monica Sorenson was named TRL Coach of the Year and Tigard senior Ashley Davis was named Pitcher of the Year for the TRL. Layney Lombardo, jr., Lake Oswego.